I spent the last weekend away in Durban. In the city, with the buzzing beach bohemian lifestyle running through my veins & although they’ve upgraded beaches & built a beautiful Tapas Bar on the pier near Ushaka… this is not my story. I did do some site seeing, ate out at fabulous restaurants, a little bar hopping & even swam in the sea… this again is not my story. My story is about the flight home. Not because the flight or service were bad or because the planes were delayed (Well Done Kulula) but more because of the booking & who I was seated next to on the plane. I wish that I could tell you that Shaka Zulu himself reincarnated had booked seat 16A but this was not the case! I was booked from King Shaka Airport back to “Johasselburg” for Sunday afternoon & asked the ground hostess if it were possible to be seated in an emergency aisle. Not because my dream in life is to be the hero who opens the door when things go wrong on a plane but rather because the leg room is always most-welcomed. She did specify that there were no window seats… I learned later that this should have been my first warning. I meandered my way to the plane, stopping to pick up coffee & to check twitter, eventually finding my way to the boarding gates (all in the hopes of avoiding the queue… I hate queues). There was a 5 minute wait to boarding but the traffic seemed to flow, even though 16A was somewhere ahead of me. I looked around at all the other passengers, while making my way to the middle of the plane, as you do, finally spotting my fellow neighbour! He wasn’t very difficult to miss. I had somehow found myself sitting next to a little elephant. A man who weighed no less than 160Kgs, taking up a seat & half… normally I don’t have an opinion on other people’s weight or size but this actually affected me & that gave me a right to an opinion. I had to sit on half a seat to accommodate the sumo wrestler, Kulula had smuggled into the country. 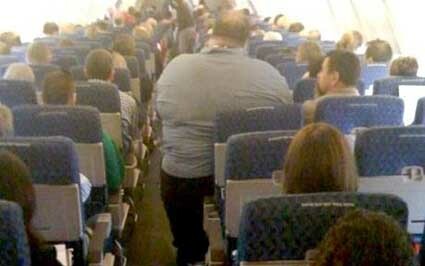 He was so big that the seat-belt couldn’t fit around him & after the safety demonstration, the flight attendant handed him the example seat-belt to use as an extender! The man was also quite embarrassed about his size & his inability to breath. He kept trying to pull his gut to one side using his arms in order to make space for me… it didn’t work! I spent the flight (which was only an hour – thankfully), thinking about the solution to the fat problem I was facing… here was a man, who had apparently eaten two other men in his 35 years of being alive & not once had anyone stopped him or charged him for attempted murder. He hadn’t stopped himself! His situation was clearly not healthy or normal & I was now being used as a cushion for the right side of his body. Charge him double & give him 2 seats… that way making everyone comfortable. Charge him double & put him in a fat seat… making everyone but him comfortable. Do nothing – put him in the emergency isle (what he would do in an emergency, who knows)… making everyone completely uncomfortable (emotionally & physically). 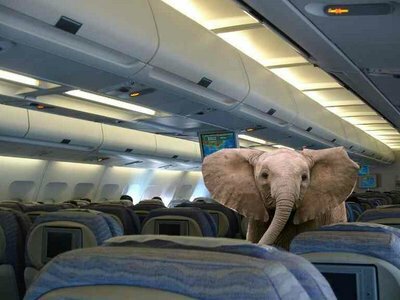 The airline played their cards… they let him on the flight without considering other passengers. They made their money & he got home safely. I survived, barely… my back is still a little crooked from being pushed onto the other side of the plane. I get that people put on weight for different reasons & find it difficult to get rid of the excess baggage but feeling sorry for them is not the solution & pushing the fat man into the corner seat of the emergency isle is not the solution either! Previous I slapped a woman with a dead fish! Next The 3 Drunken Musketeers… a true stroy! Hmmm…are you secretly my boyfriend? He was in Africa recently, too. I hope you weren’t on a long flight! LOL… I am from Africa. Lived in South Africa all my life. 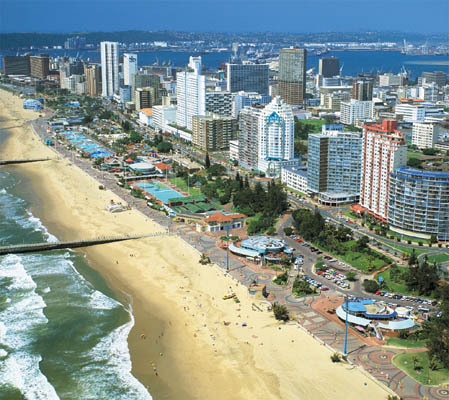 Luckily, Durban is an hour’s flight from my city but believe me it was an hour too long!